KooWooL: Johnny Depp, Fascinators, and KooWooL! Johnny Depp, Fascinators, and KooWooL! As some of you may know I am a big Johnny Depp fan, and this has inspired me to take a turn as the Madhatter of Brooks! 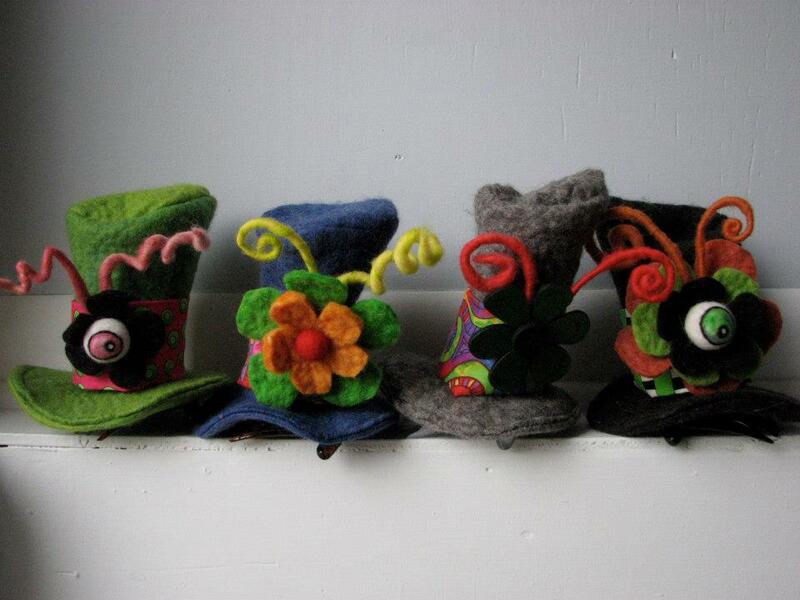 I'm not just talking about my regular line of retro hats, which although very fun to make and very well received may not be worthy of the notable Madness that characterizes the fantastical hatter of Wonderland. I'm talking about Fascinators! (They are very big in Japan, I'll have you know). This foray into one of the most obscure reaches of the Millinery arts has been an interesting adventure and I am excited to see where it leads, perhaps with my help the Duchess of Cambridge will finally succeed at bringing back the Fascinator! As headgear they are more of an accessory of style rather than function, if you're going to the beach I'd suggest...something with a brim larger than one centimetre. Stay tuned for my next post which will be all about the exciting world of Bitcoin! Well, Carol...the hat thang is all YOU! And, Johnny Depp, swoon, even in one of your popular-in-Japan chapeaus!